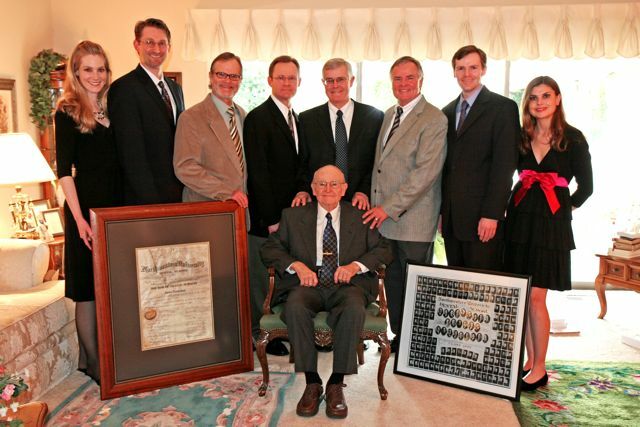 The Calvert Dental Heritage Foundation is an organization of Dentists and Dental Professionals who are directly related to the Dr. James Rex Calvert lineage. This organization will support and honor our responsibility to carry on the tradition of excellence in Dentistry originating in 1908 and into the future. The Calvert Dental Heritage Foundation will advocate educational opportunities for young future professionals who are related to the lineage and will encourage all others who have an interest in the field of Dentistry and other Health Care Professions. Beneficiary contributions, grants, scholarships or services will be offered to individuals or agencies that exhibit the qualities of excellence as is represented by the Calvert Dental Heritage Foundation. Click here to read an article about the Calvert Dental Heritage Foundation published by the American Dental Association.